Riverland Community College is proud to announce Kim Hansen and Heidi Schara have been selected to receive the College’s 2019 Outstanding Educator Award. Instructors were nominated by faculty, students, and staff, and completed an extensive portfolio of their work and accomplishments at Riverland in order to be considered for the award. The Outstanding Educators’ teaching portfolios are statements about who they are as instructors and makes visible their work in planning coursework, teaching, and improving student learning. Nominees’ portfolios are reviewed for teaching philosophy; content expertise and professional growth; teaching strategies and materials; standards of assessment of student learning and performance; and service to students, profession, institution, and the Minnesota State system. Kim and Heidi will be honored at a Minnesota State luncheon on April 17 in St. Paul where the Board of Trustees will announce this year’s Educators of the Year. As Outstanding Educators, both Kim and Heidi are eligible for that award. 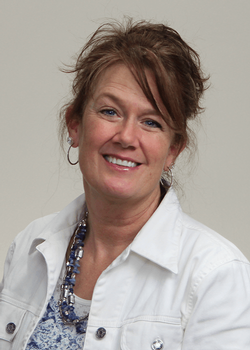 Kim Hansen has been an accounting faculty member at Riverland since 1987. She holds a Master of Science Degree in Multi-Disciplinary Studies – Emphasis in Higher Education, Discipline Area: Accounting, as well as a Bachelor of Science Degree in Accounting. Both degrees were earned at Minnesota State University, Mankato. She is a Certified Public Accountant (CPA) and Chartered Global Management Accountant. Prior to becoming an educator, Kim worked in both public accounting and industry accounting, and she brings that experience into the classroom. The importance of understanding “why” and asking “why” is emphasized in her classes, to help students become critical thinkers. She uses a “learn by discovery” approach to engage students through cases. She also makes extensive use of technology to give her students immediate feedback while learning. Many of her online courses have earned Quality Matters certification. Outside of the classroom, Kim volunteers through the BestPrep program doing presentations to area high school students about the importance of financial matters, such as credit and taxes. She also serves as a mentor as part of the concurrent enrollment program with area high schools. Kim has been a presenter at several national conferences for organizations such as Quality Matters, Accreditation Council for Business Schools and Programs (ACBSP), Rural Community College Alliance, and at the Community College Conference on Learning Assessment. Kim is a member of the Minnesota State Society of CPAs and the American Institute of Certified Public Accountants. On campus, she serves as the co-champion for ACBSP accreditation. 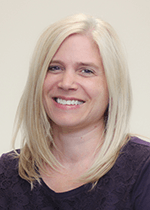 Heidi Schara has been a Speech Communications faculty member at Riverland Community College since the fall of 2005. She holds a Master of Science degree from Minnesota State University-Mankato. In addition to her teaching role, Heidi serves as the co-advisor for Riverland's award-winning Zeta Eta Phi Theta Kappa Chapter and as co-advisor for the Honors program at Riverland. Heidi builds an environment in her classes that helps students overcome the fears associated with public speaking and gain confidence as interpersonal communicators. Heidi’s greatest reward as an educator is the relationships she builds with her students. She collaborates with students to develop a trusting environment where students safely work through challenges. Her approach to teaching is centered on empowerment which allows students to discover they have the tools to control their own learning. The culminating result of her efforts is a continuous learning process that helps transform students into more confident learners.